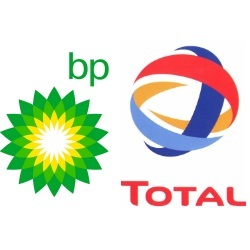 According to Tanzania Minister of Energy and Minerals Sospeter Muhongo France-based oil company, Total, and UK-based oil company, BP, have both expressed interest in Tanzania oil and gas exploration. The Tanzania energy sector currently hosts companies including Norway’s Statoil, Brazil’s Petrobras, Royal Dutch Shell, BG Group and Exxon Mobil and Hon. Muhongo has said that additional competition is welcome. “We welcome competition and we would like many companies to participate in this sector,” he said following a recent meeting with executives from Total. Current estimates show as much as 53.2 trillion cubic feet of available and recoverable natural gas resources off the southern coast of Tanzania. Given its available resources, competition has been growing among some the world’s leading energy producers to gain access to the country’s growing energy sector and prosperous oil and gas exploration projects.